25% Off Any Shark Product with Membership! Shark® provides powerful cleaning products including cordless systems that are ideal for over-the-road professional drivers. Zip through your cleaning with powerful motorized brushes that lift ground-in messes and pet hair from bare floor, carpet and upholstery. Shark® Cordless vacuums are convenient, powerful, lightweight, and maneuverable – the complete package. Shark is a sponsor of the IdleAir VIP membership program and provides a coupon for 25% off any Shark® product to members. For more information, please call IdleAir Customer Service at (877) 738-7024. The IdleAir VIP member can get their single Coupon Code either during or after signup by calling IdleAir Customer Service at (877) 738-7024. IdleAir will verify the membership, including IdleAir member number and CDL number, and then provide a single unique Coupon Code either by phone, by email, or both. The VIP member can learn more about shark products and can purchase the Shark product of choice by visiting the Shark website at www.sharkclean.com. To process the order online and receive the discount, simply enter the Coupon Code at checkout. 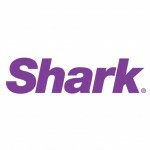 For additional assistance with Shark products or using the Shark website, call Shark at (800) 798-7398. The Coupon Code is only valid if the purchase is made online at www.sharkclean.com or by calling Shark Customer Service with your Coupon Code at (800) 798-7398. This offer is not valid at any other stores or websites that sell Shark products.